The Rolling Stones formed Rolling Stone Records in 1970 after leaving their original label Decca (London Records in the US.) They negotiated a deal with Atlantic Records to distribute the label and in 1978 they put-out only the second non-Stones related album Bush Doctor from Jamaican reggae artist Peter Tosh. Atlantic asked me to write, produce, and voice a radio commercial to promote the album. I was happy to write and produce the spot, but suggested we might try having an additional announcer. 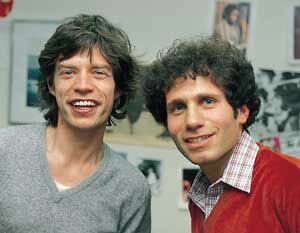 “Why not ask Mick Jagger” I said half-jokingly. “After all it’s his record label.” To my total surprise and delight Mick agreed to it and what you’ll hear is some of what happened in the label’s mid-town Manhattan office as I attempted to coach Mick through the process.